WASHINGTON (Army News Service, July 25, 2013) -- Leadership, resources, education, and expertise will be the keys to preventing sexual assault and harassment in the Army. 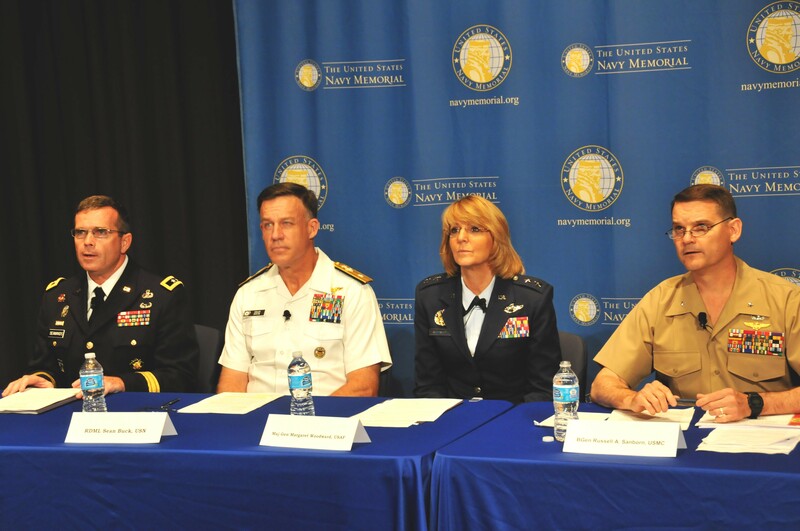 Maj. Gen. Thomas C. Seamands, director of military personnel management, Army G-1, spoke as part of a panel discussion on sexual assault prevention and response, July 31,2013, in Washington, D.C.
"Sexual assault is a crime anywhere. But in the military, it's much more than a crime; its fratricide," Seamands said. "It's an assault on the core values of every service member." The event brought together leaders from all branches of the military at the U.S. Navy Memorial to address how they were dealing with sexual assault. Seamands outlined the Army's five imperatives for combating sexual assault. He also said Chief of Staff of the Army Gen. Ray Odierno has made combating sexual assault the Army's No. 1 priority. Seamands said the five imperatives include prevention, investigation, command climate, accountability, and leadership. He said these imperatives have shown progress in the way of combating sexual assault through events such as the sexual harassment/assault response and prevention, or SHARP, conference, the I Am Strong Campaign, and the current process of hiring over 900 victim advocates and sexual assault response coordinators. In response to a question from the audience about what resources are available to victims who were assaulted by a civilian rather than a fellow service member, Seamands said that when it comes to providing support to victims of sexual assault, the Army doesn't consider the perpetrator. The same support is available to everyone. "We're creating a culture change, which will have long and lasting positive effects," Seamands said. "All these initiatives are really at the leading edge of dialogue and discussion about how to combat sexual assault and sexual harassment." Seamands, along with Rear Adm. Sean Buck, Air Force Maj. Gen. Margaret Woodward, and Marine Corps Brig. Gen. Russell Sanborn participated in the panel discussion.